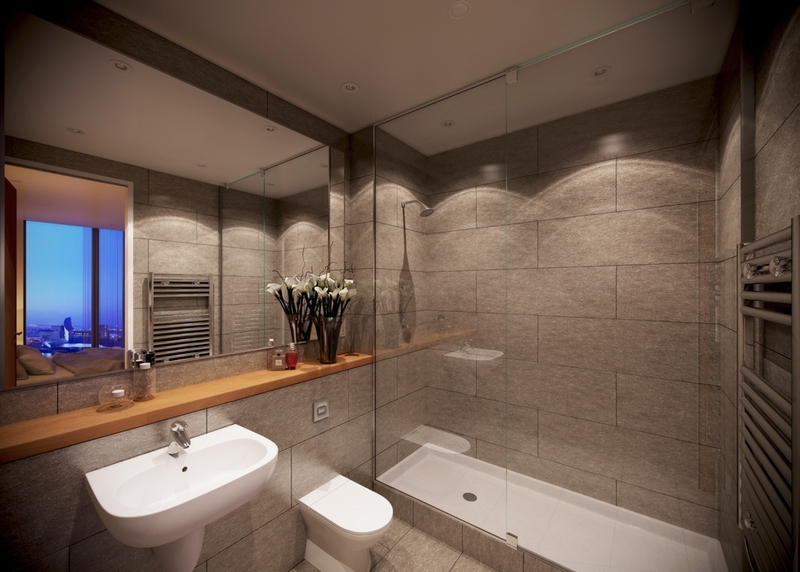 X1 Media City is redefining contemporary residential living. This development's stunning exterior is only a snapshot of the luxury within - throughout its 544,820 total square footage, the luxury, comfort and convenience of its tenants is of the upmost importance. 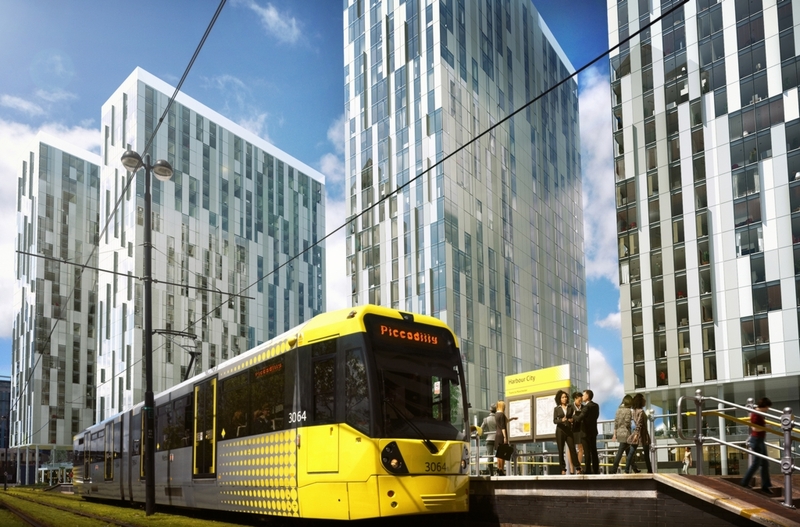 X1 Media City will contain 1,100 apartments spread over four iconic towers, with each floor an exact replica of the one below. 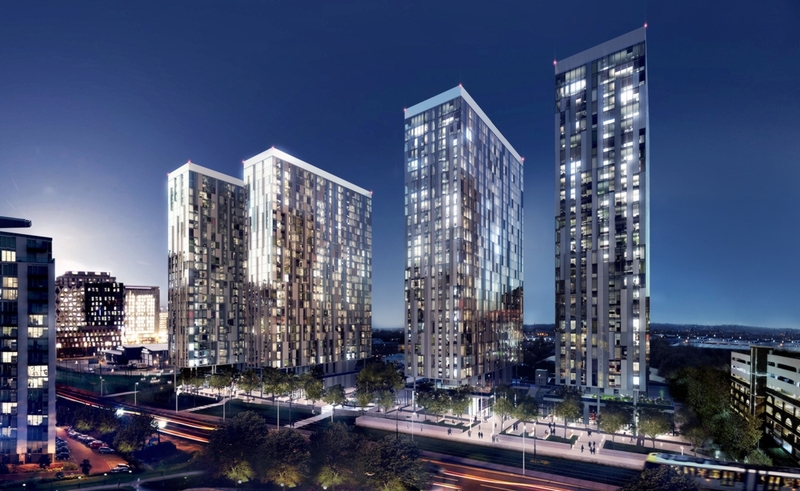 Containing just 11 apartments per floor, the design of X1 Media City allows for a sense of community for all residents, with the additional bonus of two full floors of commercial space on the ground floor. 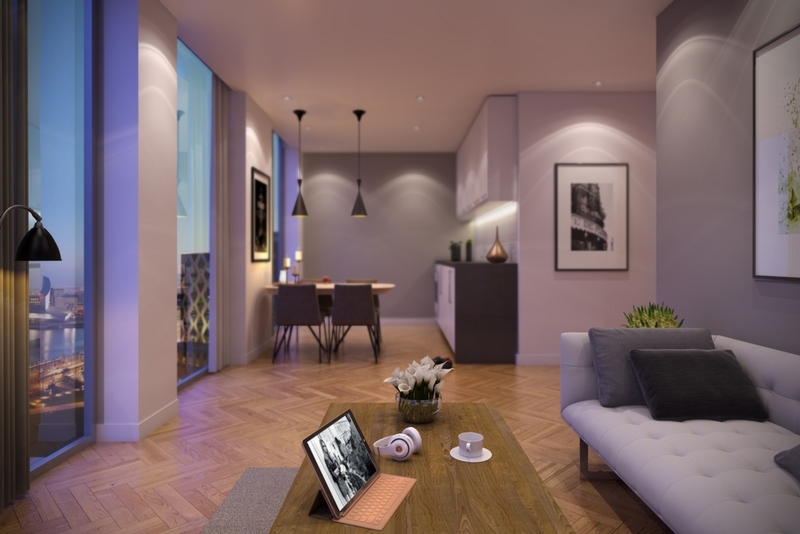 Every inch of this £200m site is meticulously designed with its residents in mind. 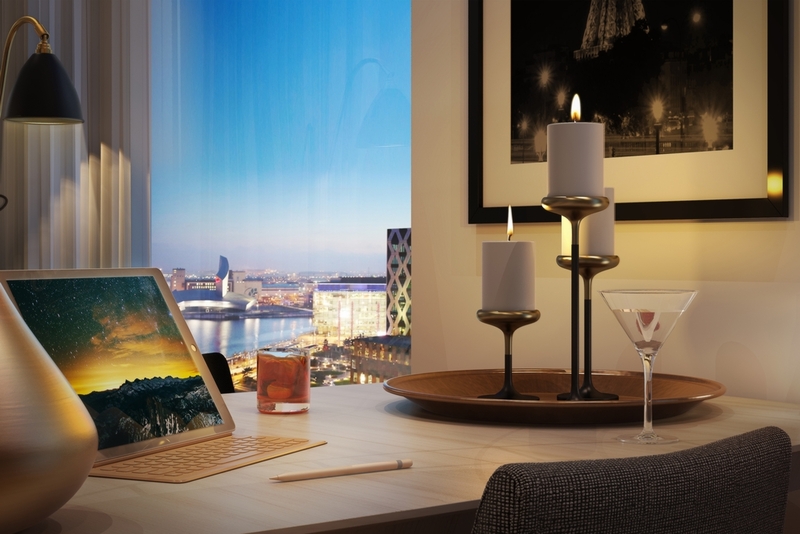 Each tower's selection of 275 apartments will be furnished to the highest of standards, with most benefitting from a truly spectacular view of the picturesque waterfront, MediaCityUK, or the vibrant city of Salford. Apartments in X1 Media City will benefit from a fully-fitted kitchen with integrated appliances and utensils, fitted chrome en-suites and family bathrooms, bright and spacious double bedrooms, and a large open-plan contemporary living area, fully-furnished and including a 42" LCD TV*. 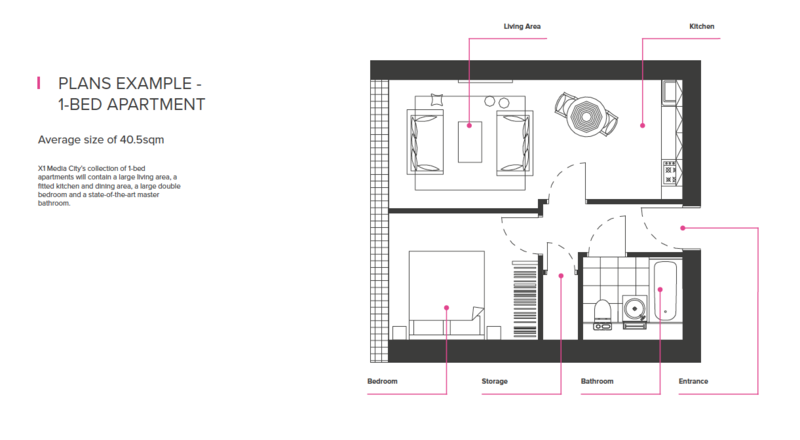 In addition, the communal facilities in X1 Media City will be second-to-none. Not only will the ground floors be dedicated to retail units for the tenants' expediency, but this development will be home to a private cinema for the exclusive use of its residents. This comes alongside the private gym and allocated underground car parking spaces as standard. 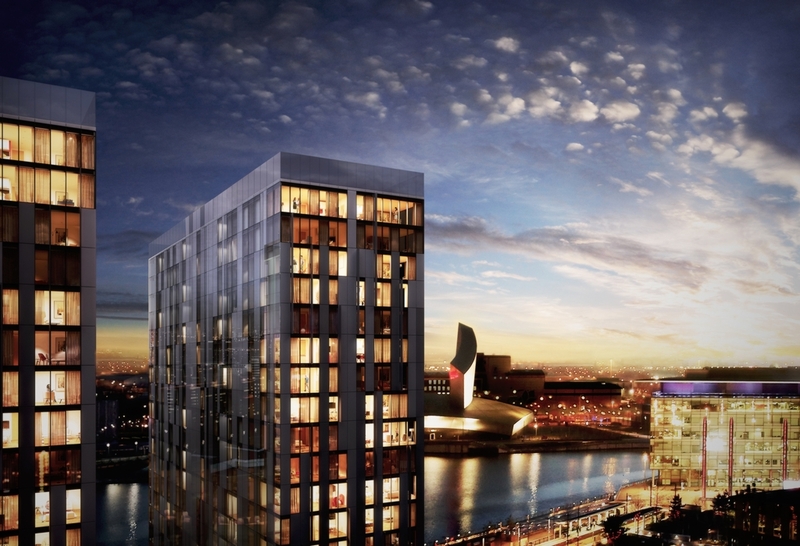 Furthermore, X1 Media City will utilise an electronic fob-operated door entry system with video link so that residents will feel safe and secure in their high-end home. The architecture of X1 Media City is a taut skin that seeks to emphasise the verticality of the towers, whilst blending shades of grey cladding and glass to create a distinctly contemporary addition to the skyline. *	Ground works to start Q2 2018. Tower 4 Core construction to start Q2 2019. Rental demand continues to be high for 1-bedroom apartments in the city, ensuring thse fashionable apartments will be highly sought-after. 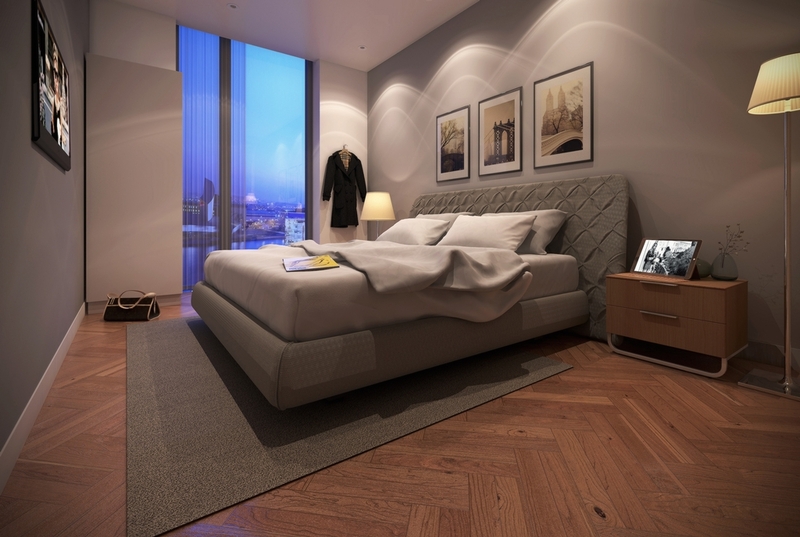 X1 Media City's collection of 1-bed apartments will contain a large living area, a fitted kitchen and dining area, a large double bedroom and a state-of-the-art master bathroom. X1 Media City tower 4 now available. 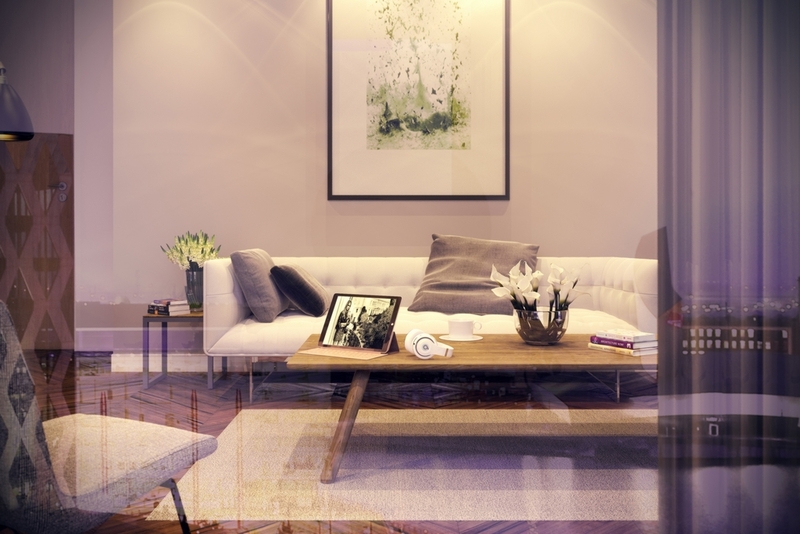 Speak to a Property Consultant, choose your perfect apartment and pay the deposit. Both sets of solicitors are instructed and legal documents/sales pack are sent out to you. Within 21 days, 25% of the balance along with 50% of the furniture pack is payable upon exchange of contracts. 10% of the balance due 31/05/2018 along with 50% of the furniture pack. Remaining balance payable upon completion of the development.